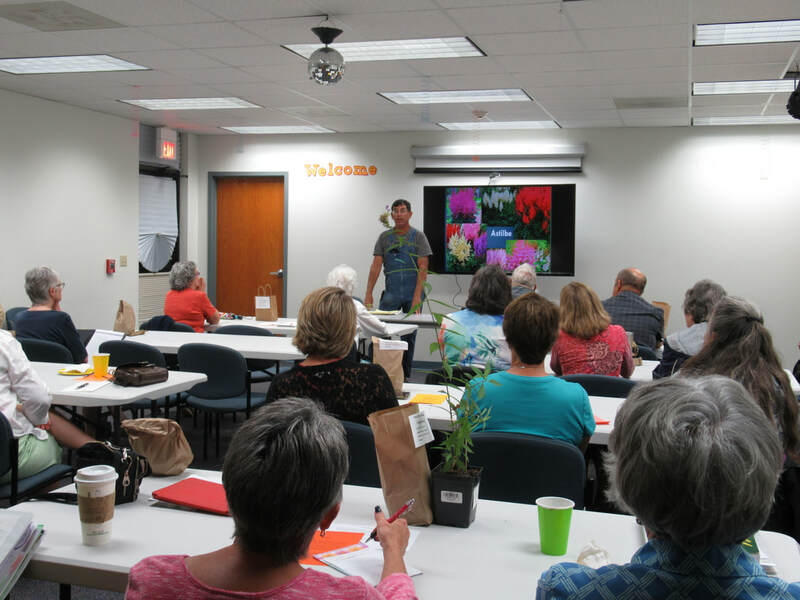 More than 40 people enjoyed a fall garden workshop hosted by Barry County Master Gardeners on Sept. 8 at the Cassville Library. Nashon Bishop, a small farms specialist with Lincoln University, addressed gardening in the fall. He discussed produce that can be grown in the fall season, cover crops for the winter, and simple methods to extend the gardening season with inexpensive, but protective structures. Oscar Cross, whose family owns Hilltop Gardens in Ash Grove, offered lots of suggestions for perennials that will do well in shade, noting which plants deer might be more likely to avoid. He explained that there are almost no plants that are deer proof, but deer will leave some varieties alone as long as they find others more to their liking. Not only did both speakers make excellent presentations, but they also answered many questions from the participants. The mission of the Missouri Master Gardener program is “to train volunteers to educate others about safe, effective and sustainable garden practices that build healthy gardens, landscapes and communities”. The program exists in all 50 states and was established as part of the University of Missouri Extension in 1983. Tens of thousands of hours are recorded by volunteers each year across the state as they work toward fulfilling the mission. The Barry County Master Gardeners group has been in existence for three years, and this was the third workshop that they have hosted for the community. They maintain plantings at the Cassville Library and work with the naturalists at Roaring River State Park to maintain the park’s native plant gardens. If you would like to know more about Master Gardeners, you can stop by the Extension Office in the Court House or call for information at (417) 847-3161.